Another beautiful baby nursery decor color full ! 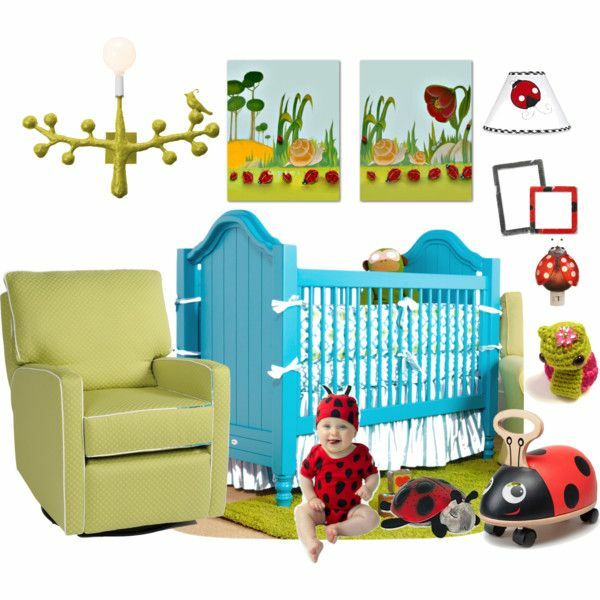 Nature themed Nursery for your little one on bright and happy colors ! 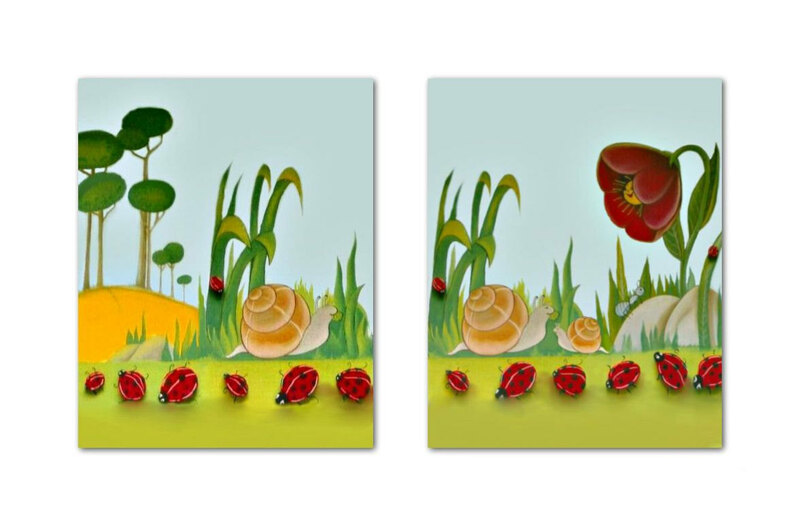 Ladybugs, trees, flowers and snails family in this SET OF 2 Art Prints of my original Artwork for children rooms wall decor!